The senior cricketer...said he gorged on Pakistani food and had piled on a few kilos on his debut tour there. 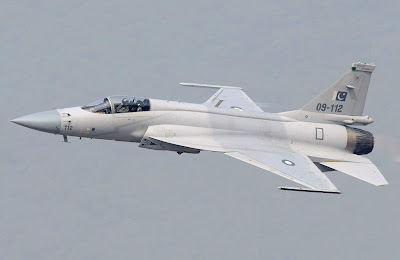 "The first tour of Pakistan was a memorable one. I used to have a heavy breakfast which was keema paratha and then have a glass of lassi and then think of dinner. After practice sessions there was no lunch because it was heavy but also at the same time delicious. I wouldn't think of having lunch or snack in the afternoon. I was only 16 and I was growing," Tendulkar recalled. "It was a phenomenal experience, because when I got back to Mumbai and got on the weighing scale I couldn't believe myself. But whenever we have been to Pakistan, the food has been delicious. It is tasty and I have to be careful for putting on weight," he said. Yes, that's right. The meat. There always, always seems to be meat in every meal, everywhere in Pakistan. Every where you go, everyone you know is eating meat. From India, with its profusion of vegetarian food, it seems like a glimpse of the other world. The bazaars of Lahore are full of meat of every type and form and shape and size and in Karachi, I have eaten some of the tastiest rolls ever. For a Bengali committed to his non-vegetarianism, this is paradise regained. Also, the quality of meat always seems better, fresher, fatter, more succulent, more seductive, and somehow more tantalizingly carnal in Pakistan. I have a curious relationship with meat in Pakistan. It always inevitably makes me ill but I cannot seem to stop eating it. From the halimto the payato the nihari, it is always irresistible and sends shock shivers to the body unaccustomed to such rich food. How the Pakistanis eat such food day after day is an eternal mystery but truly you have not eaten well until you have eaten in Lahore! I personally see vivid proof of how much Indians love Pakistani food every time I go to Pakistan restaurants serving chicken tikka, seekh kabab, biryani and nihari in Silicon Valley, California. Among the Pakistani restaurants most frequented by Indians are Shalimar, Pakwan and Shan. These restaurants are also very popular with white Americans and East Asians in addition to other ethnic groups including Afghans, Middle Easterners and South Asians. A recent study published in Proceedings of the National Academy of Sciences and Nature magazine reported that Pakistanis are among the most carnivorous people in the world. The scientists conducting the study used "trophic levels" to place people in the food chain. The trophic system puts algae which makes its own food at level 1. Rabbits that eat plants are level 2 and foxes that eat herbivores are 3. Cod, which eats other fish, is level four, and top predators, such as polar bears and orcas, are up at 5.5 - the highest on the scale. After studying the eating habits of 176 countries, the authors found that average human being is at 2.21 trophic level. It put Pakistanis at 2.4, the same trophic level as Europeans and Americans. China and India are at 2.1 and 2.2 respectively. 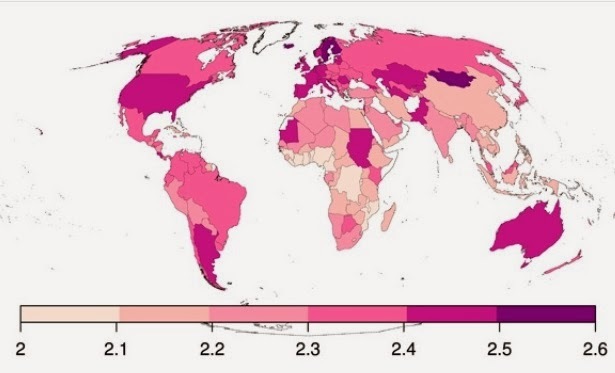 The countries with the highest trophic levels (most carnivorous people) include Mongolia, Sweden and Finland, which have levels of 2.5, and the whole of Western Europe, USA, Australia, Argentina, Sudan, Mauritania, Kazakhstan, Pakistan and Turkmenistan, which all have a level of 2.4. United States Department of Agriculture (USDA) also published recent report on the subject of meat consumption. It found that meat consumption in developing countries is increasing with rising incomes. USDA projects an average 2.4 percent annual increase in developing countries compared with 0.9 percent in developed countries. Per capita poultry meat consumption in developing countries is projected to rise 2.8 percent per year during 2013-22, much faster than that of pork (2.2 percent) and beef (1.9 percent). 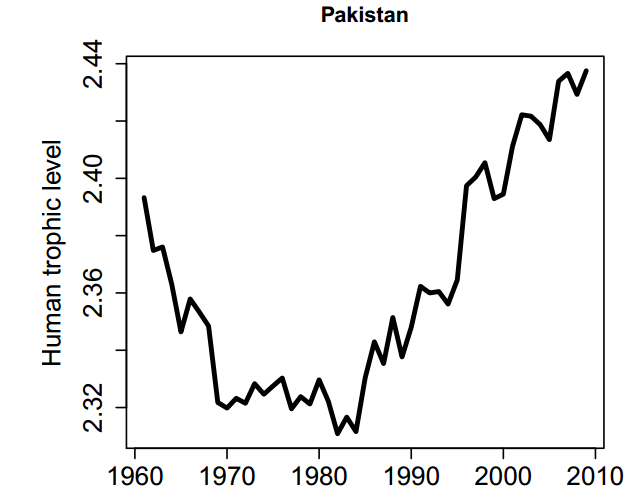 Although meat consumption in Pakistan is rising, it still remains very low by world standards. At just 18 Kg per person, it's less than half of the world average of 42 Kg per capita meat consumption reported by the FAO. While Pakistanis are the most carnivorous people among South Asians, their love of meat is spreading to India with its rising middle class incomes. Being mostly vegetarian, neighboring Indians consume only 3.2 Kg of meat per capita, less than one-fifth of Pakistan's 18 Kg. Daal (legumes or pulses) are popular in South Asia as a protein source. Indians consume 11.68 Kg of daal per capita, about twice as much as Pakistan's 6.57 Kg. India and China with the rising incomes of their billion-plus populations are expected to be the main drivers of the worldwide demand for meat and poultry in the future. Korean J Food Sci Anim Resour. 2017; 37(3): 329–341. In Pakistan, per capita use of meat is around 32 kg as compared to developed world, where per capita meat consumption reached to 93 kg as lead by Australia followed by USA. Accordingly, during the last few years, modern slaughter houses and processing facilities are established in Pakistan. These plants are mainly located across Lahore and Karachi, having capacity to produce processed meat products. 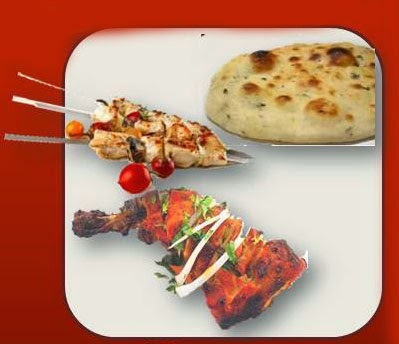 Currently, Pakistan meat industry is producing variety of meat products including traditional and western style like kabab, kofta, fillings for samosas, mince products, nuggets, burger patties, sausages, and tender pops etc (Noor, 2015). Moreover, given the increased concern of food safety and a shift to modern meat processing methods, the meat product businesses are experiencing further integration (Kristensen et al., 2014). Furthermore, the size of slaughter houses and meat processing companies has also been raising leading intensification and more variety of meat products. The slaughtering and meat processing technologies for poultry and livestock has seen momentous changes. The conventional techniques of “one knife to kill”, one blade to remove hair/skin and one weighing balance to trade meat” has disappeared significantly in large-scale productions, shifting to mechanized slaughter houses, refined cuts according to consumer demand, chilled-chain distribution and regulated selling of meat and meat products (Troy et al., 2016). Pakistan per capita meat consumption in 2000 was 11.7 kg that was increased to 13.8 and 14.7 kg in 2006 and 2009, respectively. Additionally, current per capita meat consumption has reached to 32 kg that is further expected to reach 47 kg by 2020 (Table 1). However, urbanization, economic growth, industrialization as well as eating pattern resulting increased per capita meat in the future years that will also generates higher demand for meat and allied products (Chartsbin, 2017). The dietary awareness to population has also played key role in shifting preferences to consume meat and its products. Pakistan having rich traditions and cultural festivities is also adding more demand for meat and meat products during whole year and this demand further rises significantly during festive season. To cope up this growing demand, government as well as meat industry are now concentrating to meet requirements by providing sufficient, healthy and quality produce, both fresh and processed products (GOP, 2016). Furthermore, consumer awareness is pushing meat industry and regulating agencies to keep an eye on quality of meat, safety assurance, animal health and welfare as well as precise traceability (Steinfeld et al., 2006). 33-year-old Syed Asim Hussain recently become the youngest restaurateur in the world to hold two Michelin stars. Hussain shared his excitement about the Michelin honour with Images in an exclusive chat over the phone from Hong Kong, "I feel very proud to have received two stars this year. I sort of expected it for the French restaurant, but to have the New Punjab Club recognised so early on is exciting. Hussain was born in Hong Kong, but spent his formative years in Pakistan when his father, businessman and diplomat Syed Pervaiz Hussain, sent him - at age five - and his six-year-old brother off to boarding school at Lahore’s Aitchison College.